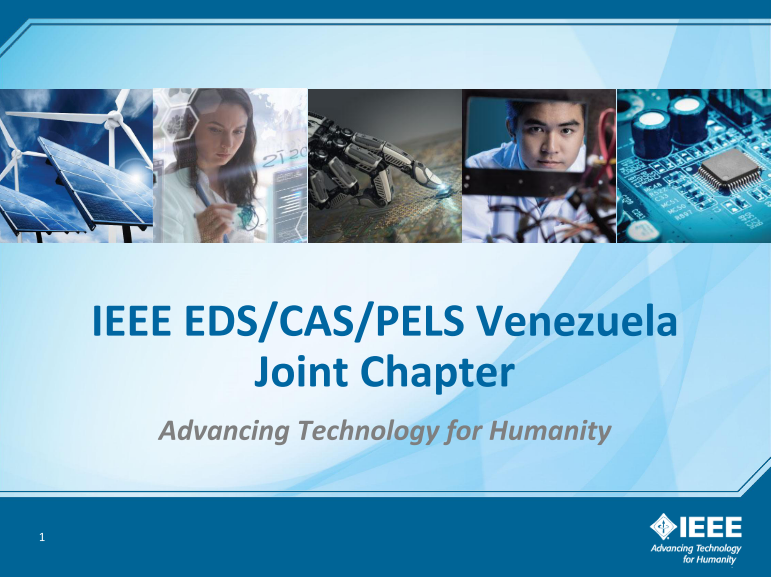 Welcome to the IEEE – EDS/CAS/PEL Venezuela Joint Chapter! Andrea Sucre González awarded with the IEEE EDS Region 9 Outstanding Student Paper Award. 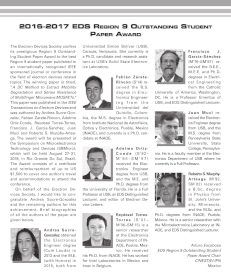 We are pleased to inform that Andrea Sucre González, PhD student at the Solid State Electronics Research Group at Universidad Simón Bolívar, was awarded with the Region 9 Outstanding Student Paper by the IEEE Electron Devices Society (2018). Our most sincere congratulations to Andrea, her coworkers and advisors. Report on chapter activities for the IEEE Power Electronics Magazine Volume 5, Issue 3, Sept 2018. on IEEExplore. EDS Newsletter July 2018 Volume 25, Number 3 : EDS/CAS/PELS Venezuela Chapter Report on Activities. EDS Newsletter October 2017 Volume. 24, Number 4. EDS/CAS/PELS Venezuela Chapter Report on Activities. Caracas, Venezuela, December 7, 2017 USBCAS2017: Workshop on technologies, trends and prospects of renewable energy projects. 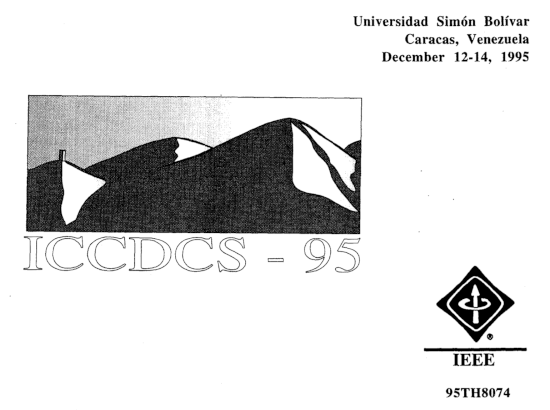 First IEEE International Caracas Conference on Devices, Circuits and Systems. Caracas, 1995. Second IEEE International Caracas Conference on Devices, Circuits and Systems. Margarita, 1998. The IEEE Electron Devices Society (EDS) is one of the technical societies & councils that you can join as an IEEE member. EDS began in 1952 as a committee of the Institute of Radio Engineers (IRE). With the merger in 1963 of the IRE and the AmericanInstitute of Radio Engineers, EDS became a technical group under the newly formed IEEE. 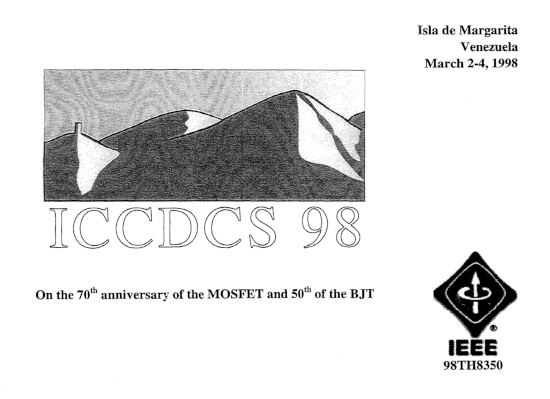 In 1976, EDS became a society of IEEE. To respond to the more complex society structure and increased business activities, the Society established an Executive Office in 1990. The IEEE Circuits and Systems Society (CAS) is the leading organization that promotes the advancement of the theory, analysis, design, tools, and implementation of circuits and systems. The field spans their theoretical foundations, applications, and architectures, as well as circuits and systems implementation of algorithms for signal and information processing. The Society brings engineers, researchers, scientists and others involved in circuits and systems applications access to the industry’s most essential technical information, networking opportunities, career development tools and many other exclusive benefits. The purposes of the Society are scientific, literary and educational in character, directed toward the advancement of the theory and practice of electrical, electronics, and allied branches of engineering or the related arts and science, in order to increase the professional standing of the Members and Affiliates. The Society shall aid in promoting close cooperation and exchange of technical information among its Members and Affiliates, and as means to these ends shall hold public meetings for the reading and discussion of periodical and special works of literature, science and art pertaining thereto, the initiation and development of engineering standards, and any other activities necessary, suitable and proper for the fulfillment of these objectives. Through its Committees the Society shall study and provide for the needs of its Members and Affiliates. Engineers (IEEE). For over 20 years, PELS has facilitated and guided the development and innovation in power electronics technology. This technology encompasses the effective use of electronic components, the application of circuit theory and design techniques, and the development of analytical tools toward efficient conversion, control and condition of electric power. Our members include preeminent researchers, practitioners, and distinguished award winners. IEEE PELS Publishes the IEEE Transactions on Power Electronics, a top referenced journal among all IEEE publications. In striving to build knowledge and awareness of the latest technologies and other advances in power electronics, the Power Electronics Society’s goal is to keep members current and competitive in the workplace, and provide them with the tools necessary to help them grow both personally and professionally. We invite you to join us, and benefit from a world of invaluable information and support. © 2018 Grupo de Sistemas Industriales de Electrónica de Potencia. Sartenejas, Baruta, Edo. Miranda - Venezuela.